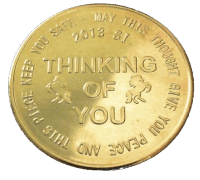 The idea was to make small brass coins, minted with the words "Thinking of You" to send to the U.S.Troops overseas. 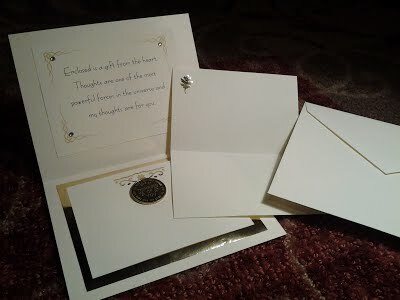 The coin was attached to a cute card. I had 5000 coins minted, 5000 cards printed, sent 500 ourselves and then ran out of money to send more. Yup, they started helping me. I started subscriptions to send these coins to the Troops... Wow!... I got fantastic responses back from the troops! They loved them. 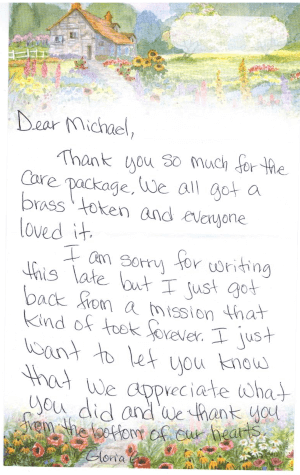 You can see a few letters from them that I posted on The Brass Peace website. over 3000 of the coins were stolen! I take full responsibility, because I left them in the garage. I had no idea... and just didn't think... that someone would steal them. But, they were made of red brass. Someone (I know who) stole them to make some quick cash at the scrapyard. Red Brass is rather an expensive metal. I guarantee that they are all melted now. I was in a state of utter depression. ...the devil sometimes takes away from what your original plan was designed for. So, I'm making a comeback! [Grand Entrance again]... a better gift program! 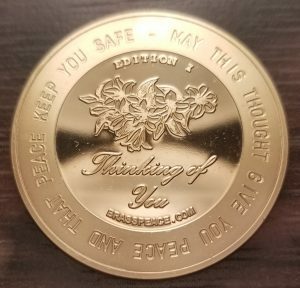 Bigger and more beautiful "Thinking of You" coins that military personnel can carry in the field that remind them we are thinking of them! You can frequently see coins with a great story behind them on Ebay... the ones that have a GREAT STORY behind them go for TOP DOLLAR. We WILL create a great story! I want this to be an investment for their future too. When they come back, I want the coins to be worth something of value for them. Most of each edition will be sent directly to a U.S. troop overseas... one can be with your photo and contact info with it! 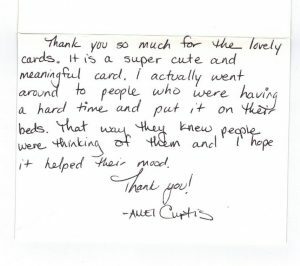 I have received oodles of letters back from the first series of coins... my heart melted. Click here to see the coin's features.